The Apple iPad has been revealed recently – in a highly publicized keynote address delivered by Steve Jobs – and while critics are quick to point out the upcoming tablet’s flaws, we’ll focus here on one of the reasons why the Apple iPad can be a potential game-changer. Apple claims that the iPad is the best way to experience e-mail, and the tablet sure has enough features to back that up. Equipped to provide a reading experience unlike any we’ve had before for a large-screen device, the iPad is poised to benefit everyone who uses e-mail: businesses, entrepreneurs, e-mail marketers, and individual users. Of course, as far as Internet marketing is concerned, there’ll never be a better time to design and launch e-mail campaigns. E-mail is usually just a bunch of text, right? Not with the Apple iPad. Taking off from what they did on Apple Mail and the iPhone, the designers of iPad set the display of images on default – allowing e-mail to be richer with graphics. On the bright 700 x 580-pixel preview pane of iPad’s large screen, and with an impressive 135 ppi display, E-mail on the iPad looks so much better. Navigating and managing your E-mails are also as simple as tapping and flicking. There’s built-in HTML5 support across Apple products like Apple Mail, the iPhone, and iPod Touch; the latest inclusion is the Apple iPad. This means users can play videos from right inside their E-mail. Moreover, this feature will work reliably across other Apple E-mail clients, such as Entourage and MobileMe. 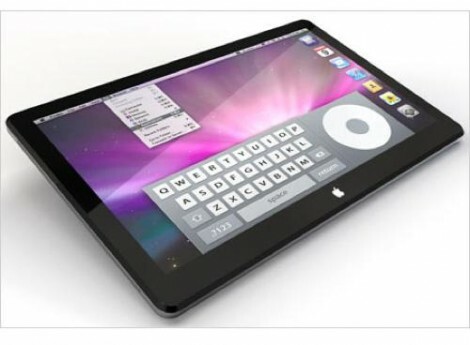 The Apple iPad has a bunch of other features that can potentially revolutionize the way we read and view e-mail. Well, make that “see” and “touch” e-mail. Did you know we test each of our clients e-mails in 17 different e-mail clients to ensure their customers are getting the same experience wither they are viewing e-mails in Gmail, Microsoft Outlook, Yahoo or any of the 17 most popular e-mail clients. Contact us today to learn how we can help ensure your e-mail campaign is reaching its maximum potential! I am looking for the best autoresponder service I have been with with AWeber from the very beginning (for a couple of years now.) Thanks that you remind me I should write a post about their latest service updates.